Pioneers in Engineering at UC Berkeley is a student outreach organization passionate that no student should be denied a quality STEM education experience. The university student members promote science, technology, engineering, and mathematics (STEM) education through an exciting, mentorship-based robotics competition process. Since 2008, over 700 high school students have been mentored in over 30 schools, many in underserved communities. 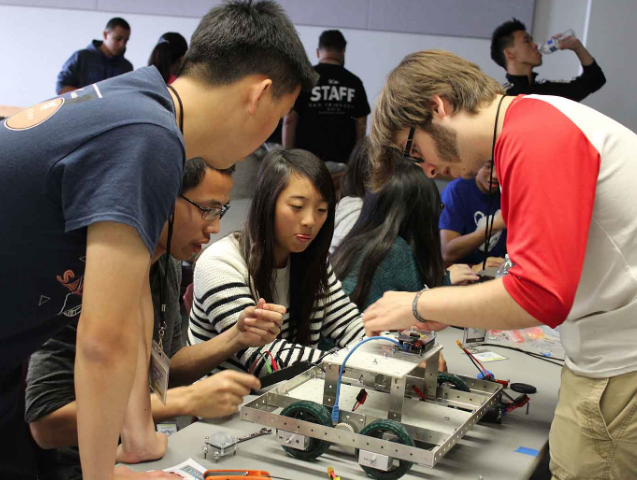 During the yearly 8-week competition held each spring, the teams build a robot with their UC mentors culminating in a competition for a variety of prizes. Thanks to support from Pioneers in Engineering, each team’s fee is only $100, to receive a robotics kit and 2-3 mentors for support. At the heart of the robotics kit is a BeagleBone® Black with an additional organized structure of kit resources for teams to choose. The standard kit includes drive trains, a motor controller, power distribution board, RFID sensors, servo controller, smart sensor and batteries in addition to the BeagleBone® Black which manages all the resources and execute the commands. 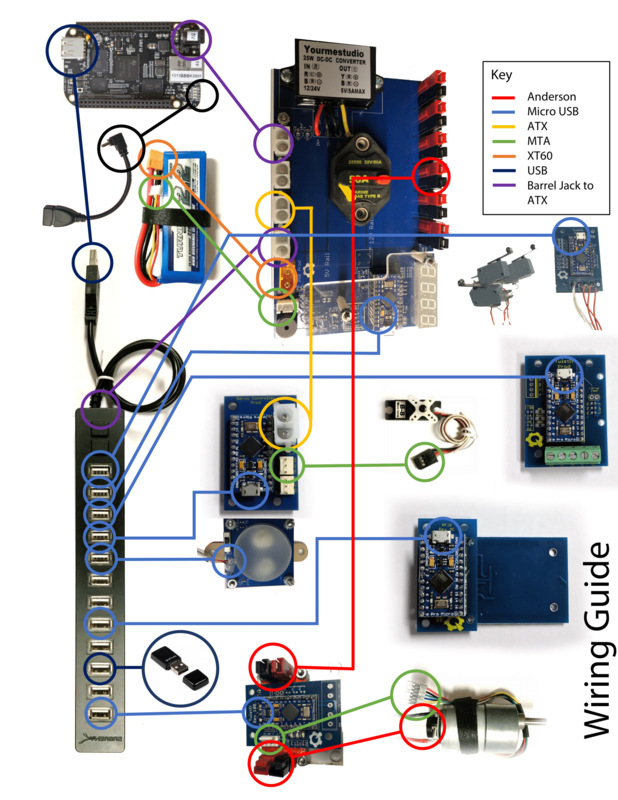 The custom kit is designed to teach gear ratios, elementary kinematics, and simple circuits. There are a variety of mechanical parts for the students to choose once they learn the goals of the competition to build their problem-solving robot. Each January the university student mentors devise a game for the season. 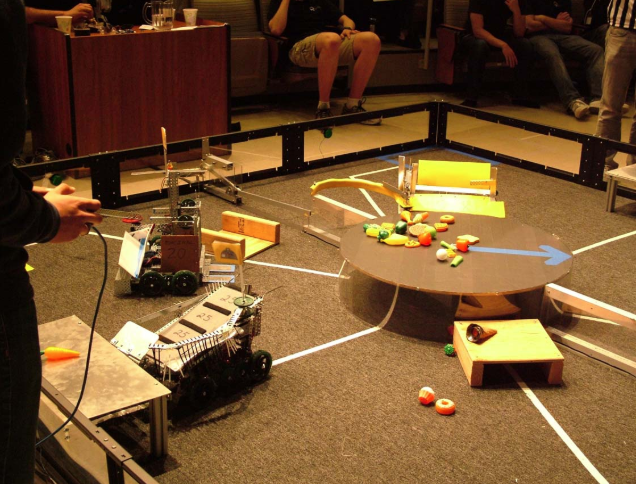 Through training lessons and building sessions, the high school students develop a robot to solve the competition. There are test periods and the students have the opportunity to present their robot designs to university students and professors as well as industry professionals. It allows them an opportunity to practice formal presentations to judges and receive feedback on potential prototypes. During the competition finals with faculty, industry and the public invited to attend, student awards are given during the closing ceremony for engineering professionalism, mechanical design, software excellence, and the bracket winners. The program not only benefits the high school students learning to build and code with their robots. Over the last 10 years, over 350 UC Berkeley students have been able to participate learning a variety of new skills themselves.